Let Your (Flash)Light Shine #NoLeaksGuaranteed + Giveaway! I participated in this program on behalf of Energizer and The Motherhood. All opinions are my own. There are many components to the bedtime routine in our household. Most nights, bedtime begins with a soothing bath. And by "soothing" I mean "a water tornado tears up my bathroom and one or both parents leave the room fuming." After the girls are dried off, they put on their pajamas and hop into bed. Hubby or I reads a story, then we turn off the lights. But one of the most important components to bedtime is the flashlight. We seem to be raising readers (high five and a pat on the back to us, right?). So most nights when we leave the girls in their room, they hunker down under the covers, each opening a book to read via flashlight. I often go in to check on them before turning in for the night, and they are splayed across their beds, flanked by books in various stages of open. So one night, the poor unsuspecting parents leave the kids with aforementioned over-used flashlights to find said flashlights will not turn on. And, of course, nary a battery to be seen. Weeping, wailing and gnashing of teeth ensues. Batteries have become an essential part of parenting. Why? Because kids have stuff. Lots of stuff. And all of that stuff comes with laughable assembly instructions, far too many choking hazard-sized pieces, and the need for battery power. And while it is pretty bad to find that a beloved toy has had the battery life sucked out of it, it's even worse to find a toy that has experienced a leaky battery, rendering it unusable. I still remember the time Chica, upon finding her toy needed new batteries, went to remedy the situation herself (unbeknownst to me). Once she got the battery hatch open, she found corroded batteries. I clearly recall my panic at the leaky, corroded batteries in her hands. In that moment, I failed not only to protect a beloved toy. I failed to protect my daughter as well. There is good news in all of this, my friends. Not all battery brands are created equal. 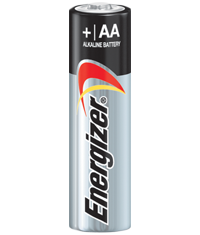 Energizer® batteries hold power for up to 10 years in storage, providing long life for the devices you use most. 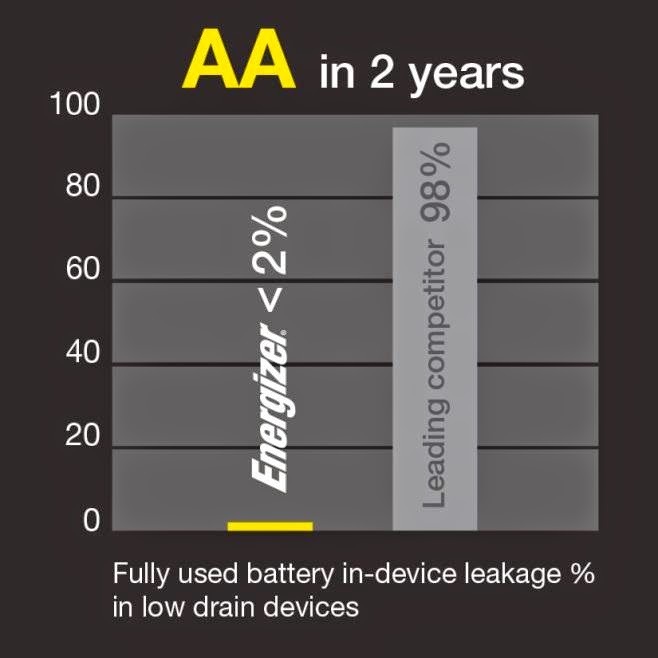 What’s more, Energizer® MAX® protects devices from leakage of fully-used batteries for up to 2 years. I didn't realize that even fully-used batteries can leak, causing a mess. Energizer is solving for this decades-old, industry-wide issue with Energizer® MAX® with Power Seal technology. Research shows Energizer® MAX® with Power Seal technology outperforms leading competitors when it comes to in-device leakage. Myth #1: Batteries only leak after they are left in a device for too long. False! In reality, batteries can leak at any time. Myth #2: Batteries only leak after all the power is used up. False! Batteries can leak at any time, regardless of whether they still have power. Myth #3: Storing batteries in the refrigerator or freezer helps prevent leakage. False! The way batteries are stored has no impact on their likelihood of leaking. Myth #4: Some battery chemistries are more likely to leak than others. True! Not all batteries were created equal. 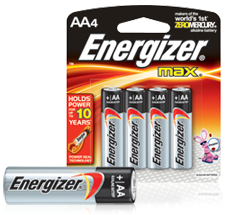 Energizer MAX alkaline batteries are sure to protect your devices from damaging leaks. Guaranteed. Now, I can rest assured that when the light clicks off for bedtime in my daughters' room and the flashlights click on, that the batteries used can withstand many long nights of bedtime reading. I also find comfort that Energizer is protecting not only my devices from damaging leaks, but my girls as well. Let your (flash)lights shine, friends! 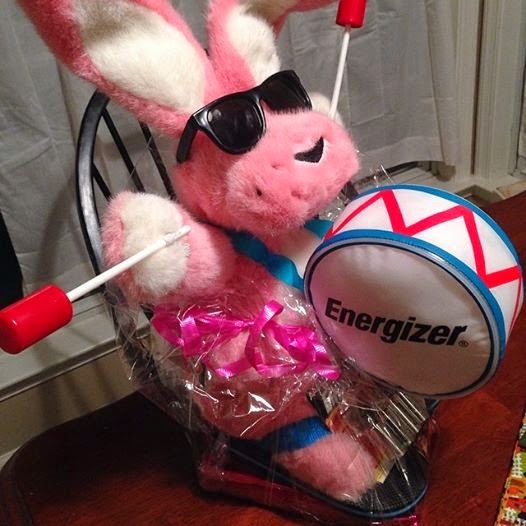 Energizer will send one randomly selected reader a collection of Energizer batteries and an Energizer Bunny plush.